Dozens of girls and young women are being abducted by Islamic extremists in northeast Nigeria, raising doubts about an announced cease-fire and the hoped-for release of 219 schoolgirls held captive since April. On Oct. 17, Nigeria's military said a cease-fire had been agreed to with Boko Haram and ordered troops to immediately comply. Officials said the cease-fire would lead to the speedy release of the girls kidnapped from a boarding school in the remote northeastern town of Chibok on April 15. But there have been a number of kidnappings and battles since then that call into question the cease-fire. At least 70 young women and teenage girls and boys have been kidnapped in Borno and Adamawa states since Oct. 18, according to local government chairman Shettima Maina and residents who spoke on condition of anonymity because they feared retribution. The insurgents also launched several attacks since the cease-fire was announced. On Friday a multinational force including troops from Nigeria and Niger engaged in fierce fighting to regain control of Abadam, a town held by Boko Haram on the western shores of Lake Chad. Ten days after the announcement, Boko Haram has not indicated that it has agreed to a truce. Nigeria's minister of foreign affairs, Aminu Wali, said Monday that Boko Haram has denied recent kidnappings and suggested it might be the work of dissidents wanting to break the cease-fire. He said the release of the Chibok girls is part of ongoing cease-fire negotiations, which would not be affected by the latest abductions. "There is still negotiation going on and we expect a lot of progress to be made ... And we will make an effort also to bring back those that have been kidnapped," Wali told a news conference in Abuja, Nigeria's capital. He spoke alongside the foreign ministers of Germany and France, who announced a joint initiative to help victims of Boko Haram. "Thousands of people have become traumatized by the violence," said Laurent Fabius of France, announcing joint financing of "a program for the support of these people and to help them overcome the trauma and the psychological distress that they have suffered." None of the escaped girls interviewed by Human Rights Watch was offered proper counseling, the group said in a new report Monday, quoting escapees who described forced marriages and rapes, forced conversions to Islam, forced labor and forced participation in attacks. The insurgents mainly target Christians and girls who go to school, said Human Rights Watch. 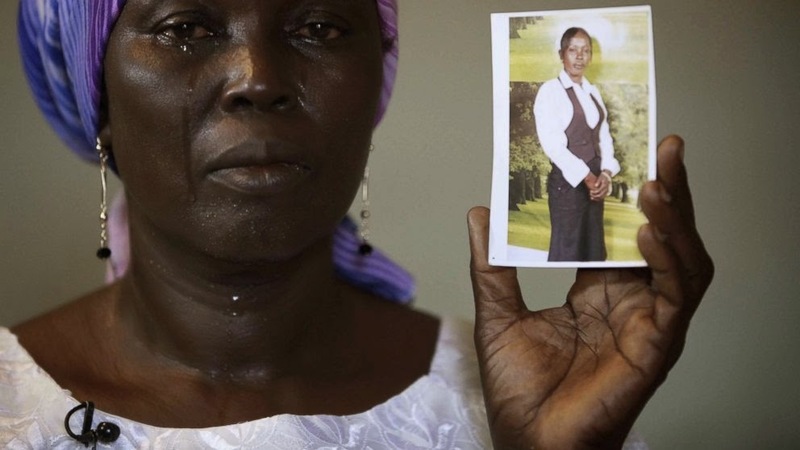 More than 500 girls and women have been kidnapped by Boko Haram since 2009, according to an estimate by the New York-based rights group. Unknown scores of young men also have been kidnapped and forced to join the extremists as fighters. Boko Haram leader Abubakar Shekau said in a video last year that his group kidnaps because the military is holding members of Boko Haram families. Nigeria's military and police routinely detain family members of wanted people, even though it is illegal, according to rights groups. Human Rights Watch said only students who escaped from Chibok had received some type of state-supported counseling and medical care. But it quoted one of the Chibok girls as saying the counseling was just speeches by one Christian and one Muslim cleric. Another Chibok girl said: "I just want someone who will listen to me and help me to stop the fear that takes over my mind when I think of my sisters (school mates) who are still with Boko Haram. I am so afraid for them. Why can't the government bring them back?" Hilarious, tragic, stirring, this fly-on-the-wall look at several weeks in an Iranian divorce court provides a unique window into the intimate circumstances of Iranian womens lives. 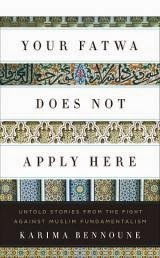 Following Jamileh, whose husband beats her; Ziba, a 16 year old trying to divorce her 38 year old husband; and Maryam, who is desperately fighting to gain custody of her daughters, this deadpan chronicle showcases the strength, ingenuity, and guile with which they confront biased laws, a Kafakaesque administrative system, and their husbands and families rage to gain divorces. Please credit all uses of this video as follows Courtesy of Women Make Movies, www.wmm.com. Divorce Iranian Style challenges preconceptions about what life is like for women in Iran. The most startling thing about the film is simply that it was made. The filmmakers follow the cases of three women who are attempting to divorce their husbands. Although Iranian religious law frowns on divorce, a man is allowed to claim the privilege without needing to show cause, provided he pays his ex-wife compensation. A woman, however, can only sue for divorce if she can prove that her husband is sterile or mad, or if he agrees to let her out of their marriage contract. In the last case, the compensation becomes the bargaining chip: the man will sometimes give his wife her freedom if he doesn't have to pay. At one point, the judge tells a little girl (the daughter of the court stenographer who has been a fixture in the court from the age of two months) that he has a man picked out for her who's "not like the riffraff that come in here." The girl has a more radical plan: "I won't marry ever, now that I know what husbands are like." CAIRO, Oct 26 – A Cairo Misdemeanour court sentenced on Sunday 23 defendants charged with violating the protest law to three years in prison and a 10 thousand Egyptian-pound fine. Sanaa Seif, sister of prominent political activist Alaa Abdel Fattah, was arrested alongside 23 others on June 21 while taking part in a march calling for the repeal of the protest law and the release of all those arrested on background of the law. The defendants have been referred to a misdemeanour court for illegal assembly, vandalism and displaying force. The defence team will appeal the verdict, said Mohamed Abdel Aziz, director of the Cairo-based al-Haqanya human rights centre and one of the lawyers representing the defendants. International human rights watchdog Amnesty International described the law as "repressive" and called for the release of all those in detention for "defying" it. 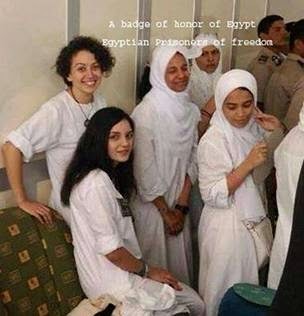 Among those sentenced is human rights defender Yara Sallam, transitional justice officer at the Egyptian Initiative for Personal Rights (EIPR). Sallam was reportedly arrested with her cousin while buying water from a kiosk in Cairo's Heliopolis neighbourhood, where the June 21 protest was held. 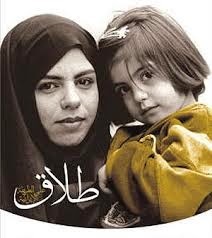 Sallam remained in detention and faced official charges despite the release of her cousin the next day, which causes Amnesty International to believe the human rights defender is being persecuted for her activism. The Egyptian Centre for Economic and Social Rights (ECESR) filed on September 13 a lawsuit at the Supreme Constitutional Court, Egypt's top court, challenging the constitutionality of articles in the law. October 25, 2014 - Iran has executed a 26-year-old woman convicted for killing a man who she said tried to sexually abuse her. 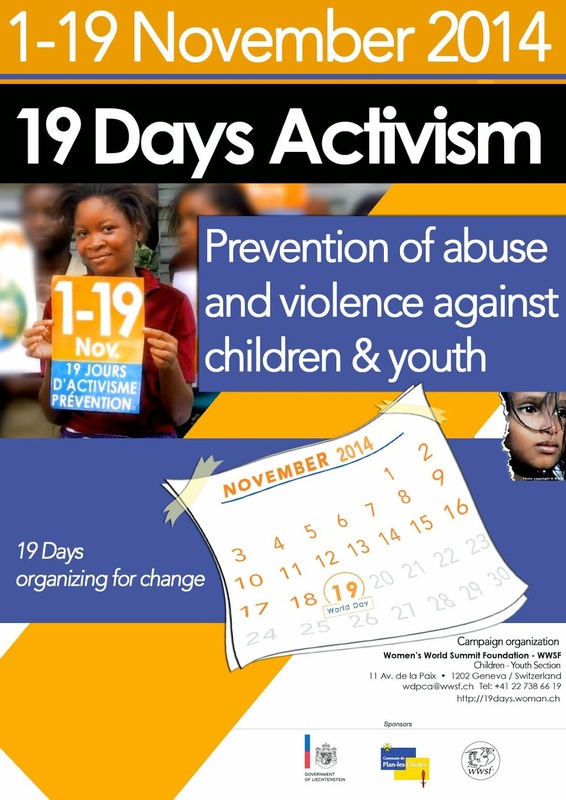 The 19 Days Campaign is a WWSF initiative launched in 2011 by the Children-Youth Section and sponsored by the Women's World Summit Foundation - WWSF and other partners. Lobbying governments to implement UN Study recommendations and in particular "prioritize prevention"
In 2014, the main theme of the annual 19 Days campaign is “Addiction and substance abuse”. The theme and ideas for action are presented in the 2014 Prevention Kit. Does This Guatemala Girl/Mother Know that TODAY Is the International Day of the Girl Child? IWRAW Asia Pacific presents CEDAW Quick & Concise video series to explain the CEDAW principles. This video explains the principle of Non Disrimination. IWRAW Asia Pacific presents CEDAW Quick & Concise video series to explain the CEDAW principles. This video explains the principle of State Obligation.